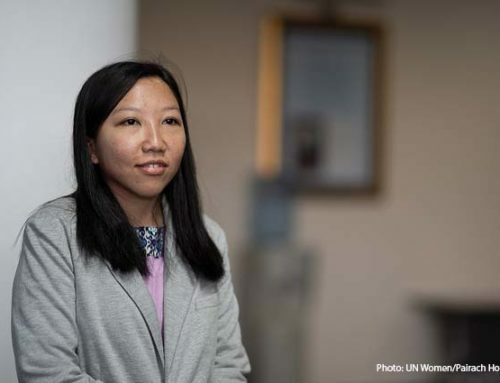 Eni Lestari, a domestic worker from Indonesia, chairperson of International Migrants Alliance, and APWLD’s Labor & Migration Program focal person, has recently been chosen to address the first-ever UN Summit on Refugees and Migrants in New York this 19th September. She’ll be conveying the voices and demands of the migrant workers to the government leaders on how they should address large movements of migrants and refugees. 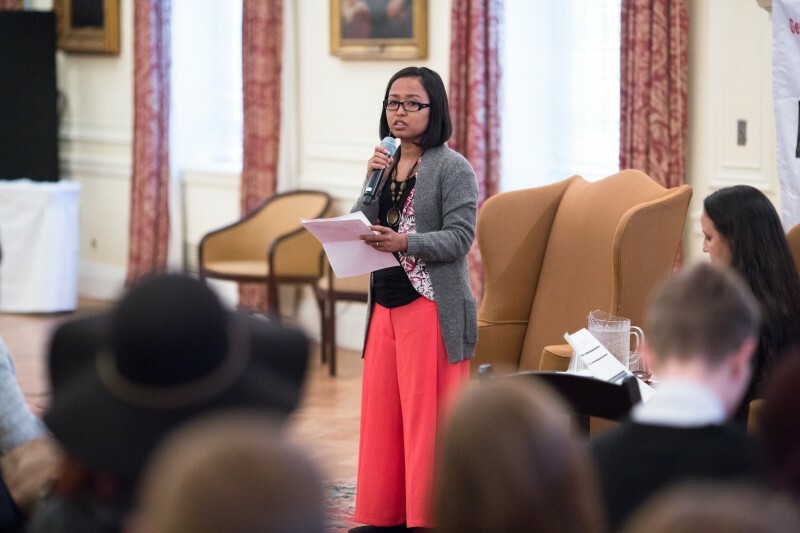 Having worked in Hong Kong for 17 years, Eni founded the Association of Indonesian Migrant Workers in 2000 and has continuously been involved with grassroots organizing since then. Driven by the need to support her family, deeply affected by the 1997 Asian Financial Crisis, Eni decided to leave for Hong Kong and work for a Chinese family in 1999. A salary offer of 180 USD seemed to offer much better prospects in supporting her family than being in Indonesia. However, in Hong Kong, she experienced labor abuse as she was not allowed any day off in the first three months and was severely underpaid. 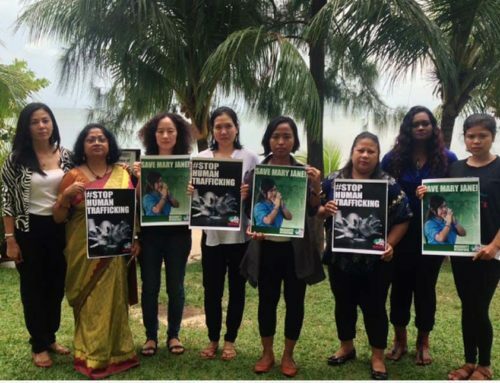 With the help from other Indonesian migrants, she ran away from her employer and got in touch with the Asian Pacific Mission for Migrants (APMM). APMM offered her a shelter at Bethune House and informed her about her basic rights and how to fight for her case. 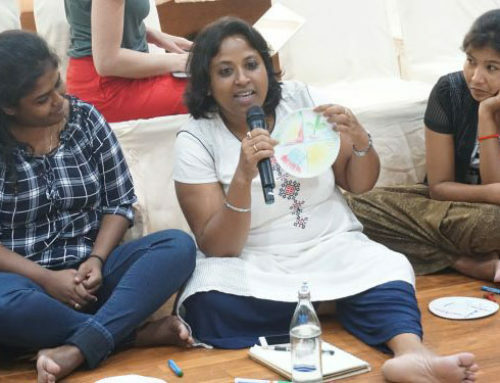 Since then, she has been in the forefront of organizing and advocating for policy changes in the realm of the rights of women migrant workers. We spoke to Eni about how she shifted from being a victim to an organizer of the migrant’s movements, and what message she would convey at the upcoming UN Summit on Refugees and Migrants. How did you become interested in organizing? When we started organizing, there were so many things that were reflected from my own experience. After I stayed at the Bethune House for some time, it changed my life right away. I was reborn in that place. Not only I know about my case, but I also was trained to help other cases. The good thing about the Bethune House is they don’t just let the clients rely on them, but they also train us to know our rights and to handle the cases. It was eye-opening for me, because what I thought was impossible is now possible. And those things made me aware that Hong Kong had a justice system, but it was intentionally taken away from us, by not even telling us the truth. They let us depend on the agency so that we would be obedient. Because the added value of an Indonesian is that we are obedient. So the agency could sell us easily to employers and guarantee employers they could exploit us badly, and we would not fight back. So that is how we came to realize we are just a commodity for them, just a sales product. They want to sell us at the sales price that’s why they treat us the way we were being treated. So then I started to become an activist myself, starting with educating my fellow Indonesians and let them know about their rights – but it’s not very easy because so many of them are so afraid. Especially in Indonesia, coming from the military regime, fighting is like death. It took us three years, four years just to make them realize it’s okay, and they would be fine. It took us those years just to make migrants realize that they have this democratic space to be organized and empowered, and slowly it became very powerful. Then you became more involved not only for Indonesian workers, but also other migrant workers as well? 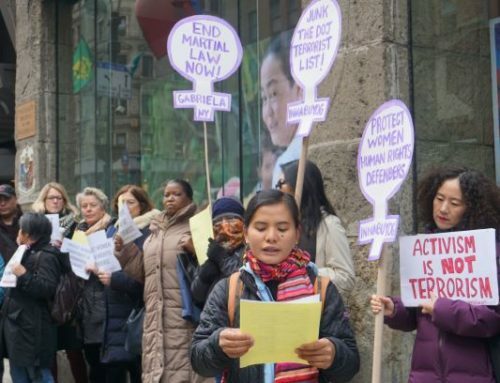 When we formed in 2000, we joined the Asian migrants coordinating body, with multinational alliances of domestic workers, coming from the Philippines, Indonesia, Thailand, India, Sri Lanka, and Nepal. I became active within the coordination and then I became the spokesperson in 2005. And then became the coordinator after that. And in 2006, we formed the Indonesian Migrant Muslim Alliance. In 2007, we formed the United Indonesian Against Overcharging, where we talk about the issue of Agency fee. That’s the biggest problem for Indonesians. The international engagement began in 2008 formally through the International Migrants Alliance, although before I used to attend several regional meetings, also with APWLD. But my formal international participation was really from 2008 when I was elected as the chairperson. What message would you like to bring to the UN Summit on Migrants and Refugees? I would like to bring a very strong message for all government officials and world leaders not to treat migrants as a commodity, and also to not treat us as a national security threat. Because what happened today in the eyes of our sending government is that we are a commodity. The only thing they remember about us is how much money we can send back home. That’s why they are very eager to send us abroad no matter how many people have died. In the eyes of the receiving government, we are just a cheap labor and beyond that we are also a threat. They see us as a threat, a national security threat. That’s why whenever there is a crisis, the first thing they do is arrest the migrants, imprison migrants, deport migrants and even torture migrants. Whenever there is a gathering of migrants they see it as ‘Who are you? You are no one’. We are not even human for them because we are already criminals in their eyes. It’s very difficult to even reform the policies, when we talk about immigration policy, visa, discrimination, no minimum wage, the basic rights, they say ‘No no no no. We brought you to work here for certain purposes, and you must live in that kind of condition, like it or not.’ Not only domestic workers, even other workers: construction workers, plantation workers, everyone who came on contractual basis, and you don’t have any rights beyond that. And you live in isolation; you are excluded from all policies and equality, you cannot even enjoy your political rights, there is nowhere to join an election – so practically we are not a human or worker in their territory. We are only second class citizens or slaves because we do not have our rights. The main message I want to bring out of this reality is that governments throughout the world should treat migrant workers as workers and as humans with rights and dignity. They should prioritize our welfare and not the businesses’ profit. And also that the receiving governments should recognize and integrate us into their existing society and policies, and recognize our economic, political, social and cultural rights. The last thing is the sending governments should not use the migrants as the vital key to development. What we see now is many of the sending governments depend on the remittances of migrants, and they do not know what to do without the income from the migrants. What kind of development can be made on top of the sacrifice, the sweat, the tears, even the death of migrants? Is that the kind of development that you are going to make in the country? That’s what we need to challenge. What outcome do you expect to see from this meeting? According to the process, there was already a preparatory meeting in July. There were some commitments by the governments; one was providing schooling to the children of migrants. And what we need to boost this time with my presence is to make them responsible, accountable to the promises they made in July – how many schools were created; how many children of migrants were enrolled; what is the government system they created. But beyond that I’m also asking for more commitment from the governments to fully recognize the migrants as a human and as a worker – a legalization of undocumented migrants, respect of the right to work, respect of the right to change jobs, respect of the right to settle. The result of this meeting is only an outcome document, which is going to be in process until next year when they will agree to the global compact. It is a blueprint agreement on the UN level of how the governments should respond to the migrants and refugee issue. So this is an ongoing project which we have to maximize to make them accountable to the migrant and refugee crisis.